Get your ticket in advance - either online or very early on the day. The ferry is likely to sell out due to summer demand and three visiting cruise ships. 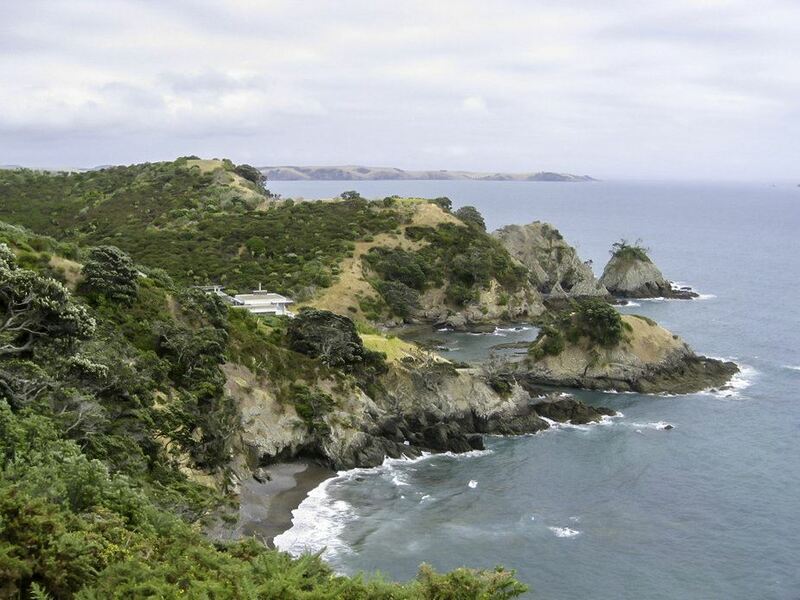 All groups will aim to get to Park Point followed by a short walk to the Pio Rehutai Reserve, a bush walk to the trig overlooking the island, then following the marked track to Blackpool, into Oneroa and back via a choice of tracks to Matiatia. The longer party will head from Oneroa to Owhanake via a short stretch of road then on the coastal track back to the ferry. A reasonable level of fitness required as there are numerous steps on both sections of this walk. Bring plenty of water, togs if you want a swim as it gets very hot on these tracks, and of course, a camera. It is recommended you join the boarding queue promptly as sometimes having a ticket doesn't guarantee a place on a specific sailing. Cost: Fares (at 04 Feb now $45 per adult). Gold Card free.